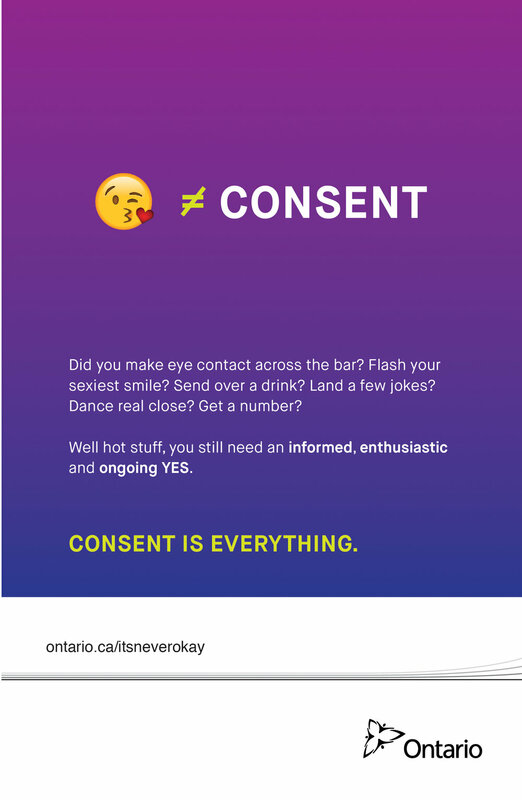 Last year, Ontario's Sexual Assault Awareness campaign targeted college campuses, bringing awareness to the importance of consent. After receiving positive feedback, universities and colleges wanted more material that specifically went into the grey areas of consent. 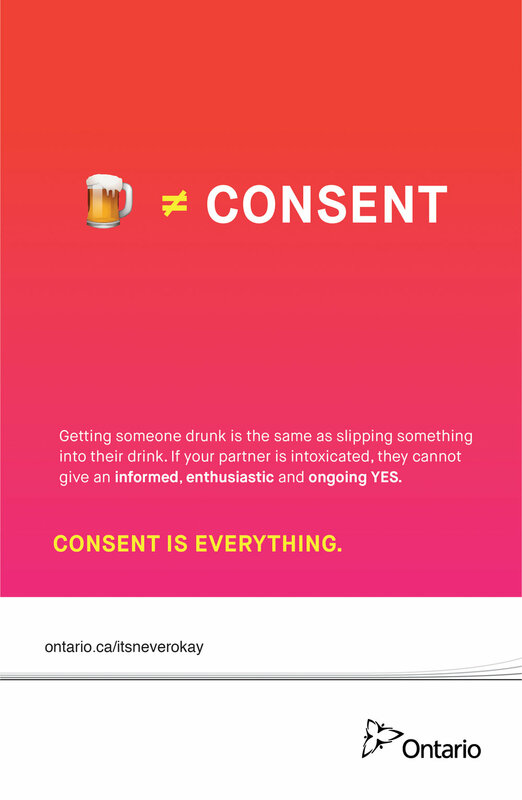 Building on the previous concept of bold, straightforward copy, I wrote and designed a series of posters that explored the meaning of "informed, enthusiastic and ongoing" consent in different situations.